A road trip to Boise is an opportunity to search for milkweed and monarchs. One of the most vocal groups claiming that the toxicity of milkweed makes if it an invasive is the farmers. 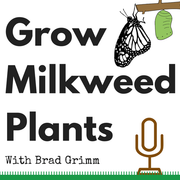 If you are a farmer and you have a pasture with cattle or other livestock, then milkweed is not a good plant to have in your pasture. Sadly that with the drought across the Western states grasslands are becoming barren. Milkweed should not be encouraged to grow in a pasture. I am simpathetic to the animals who may be compelled by food scarcity to graze on milkweed. Its is not a crop to be raised for grazing. I know Idaho has a lot of open range grazing for their cattle.Despite the know absence of Milkweed across the country. I am still hoping to find milkweed in the city and state parks near Boise, ID. There are no cattle grazing in the city parks as far as I know. I plan to look along the Boise River path that meanders thru town. With so many climate similarities to Reno and out Truckee River I think it's likely that there can be Mexican Whorled Milkweed Milkweed and Showy Milkweed on the banks of the river. I depart tomorrow, May 15th, 2014 (I'm up late so thats today) and will continue this post soon. I did not see any milkweed plants. I looked the entire weekend.The aqueduct near the Boise Town Square Mall didn't have any. The path along the Boise River had a lot of diversity but no milkweed. I only walked a short section in Garden City. I did see three butterflies but I don't think any were Monarchs.